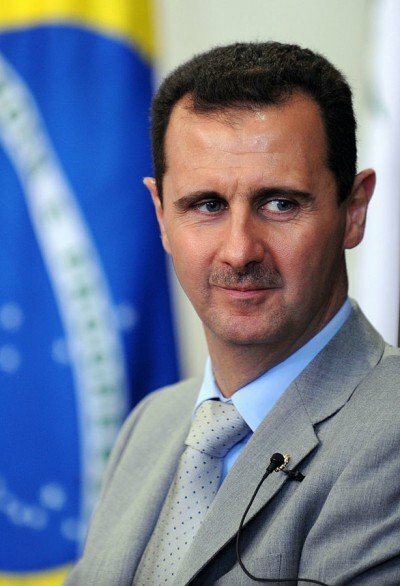 President Assad: Yes, there are continuing contacts between us and the Russians. They talk to us about all the details concerning the Syrian situation, including anything raised with the Russians by any other country, or any discussion between them and those countries, whether they were allies, opponents or enemies. There is complete transparency in this relationship. The final aspect is that related to the crisis. Acknowledging the real weight of Iran and its regional role will give it an opportunity to use its increasing influence to persuade the West that their policies are wrong. Of course, I do not pin, nor do you I believe, great hopes on the West changing its colonialist world view and moving in the right direction, but any effort made by Iran must have its impact. This impact, even if it were limited, would accumulate in time in order to mitigate the damage inflicted on our country by the colonialist West, practically now in relation to the situation in Syria and through your renewed relation with the European countries. President Assad: The real opposition is that which belongs to the people. If any person is convinced that he opposes the government, we tell him to speak out for the concerns of the Syrian citizens. If you speak out for the concerns, aspirations and desires of this citizen and act in his best interest, he will consider you his representative, and you will have a role in your country whether others wanted that or not. No one can stand against the people. But don’t call yourself a member of the opposition if you are an agent for another country. To be in opposition means to be patriotic. There is no unpatriotic opposition. Any unpatriotic individual is not a member of the opposition, he is a foreign agent.